Peerlessly thrilling, Jack Reacher’s 23rd outing sees him wrestling personal demons and public conspiracy as he follows in his father’s footsteps on a white-knuckle homeland ride. At the very same moment, close by, a car breaks down. Two young Canadians are trying to get to New York City to sell a treasure. They're stranded at a lonely motel in the middle of nowhere. It’s a strange place... but it’s all there is. Waterstones have been following the nail-biting exploits of Jack Reacher since he first loped into town in Killing Floor in 1997, a striking figure standing at 6ft5 all dirty-blond hair, with a chip on his shoulder and a lethal ability. 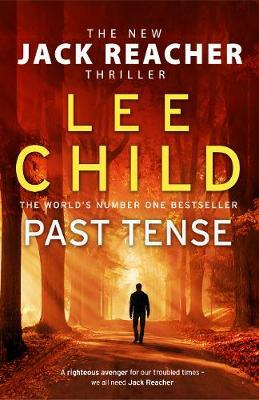 His creator Lee Child lays claim to the fact that every second somewhere in the world somebody buys one of his novels. He starts every new novel on the same date, the 1st September and has managed to keep fans coming back for more every time, he says of thriller-writing ‘It's the only real genre and all the other stuff has grown on the side of it like barnacles’. Being a die hard Reacher fan, I had to obviously pry this book from the hands of the “other half”.